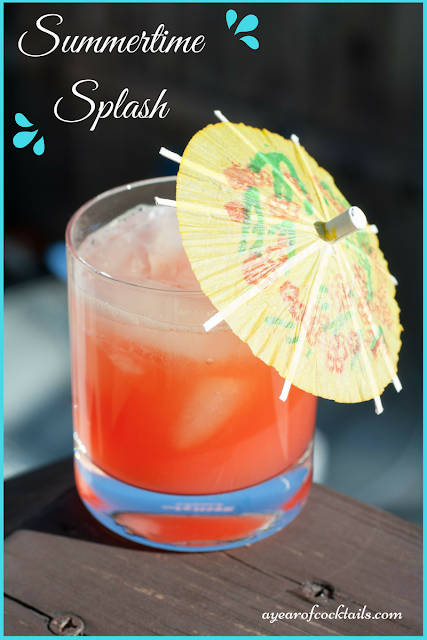 Peach and lemonade make this cocktail the perfect mix for a warm summer day...or night. I have been loving these nice warm days! They make me want to sit outside and warm my skin and drink cocktails all day! Since I enjoyed my Summertime Breeze that I had created the other day so much, I needed to find out how it would taste if I amended it a little bit. I guess I am feeling adventurous. Making this cocktail with vodka goes to show that it does not matter whether you put in rum or vodka, you still can not taste the alcohol. Which means that this cocktail is one of those sneaky cocktails where you do not think you are drinking too much alcohol and then BAM......you are feeling pretty darn good! I would think you can make either version of this cocktail ahead of time in a pitcher (without ice) and then when it's time to serve it, stir it up WELL (to get the puree mixed in) before you pour some in a shaker with ice. Here's to another..amended.....scrumptious self-created cocktail!